It’s been said that “you can’t teach an old dog new tricks.” Well, Samsung may be ready to teach the Galaxy S5 a new trick or two – with a new smartphone that bears the 2014 nomenclature, but with a twist. 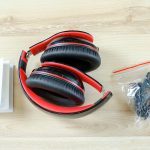 A device bearing the model number SM-G903F has now received Wi-Fi certification. 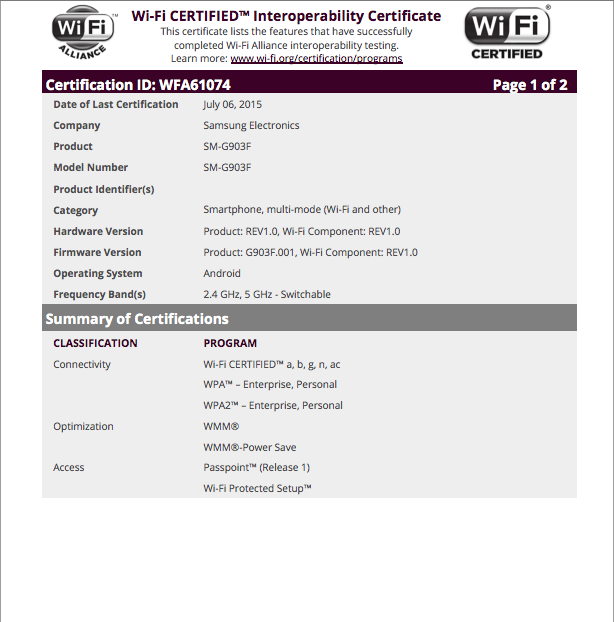 A closer look at the document shows that 1) it is a smartphone, 2) it will operate on 2.4Ghz and 5Ghz Wi-Fi bands, 3) the device will operate on 802.11ac Wi-Fi, and 4) Samsung received Wi-Fi certification for the device on July 6, 2015. There’s very little to go on here as far as what the smartphone could be, but the model number matches what we’ve uncovered as the model number for the Galaxy S5 Neo. 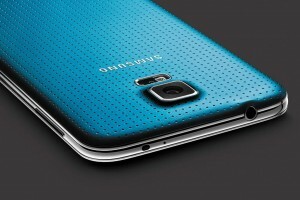 The Galaxy S5 Neo will match the Galaxy S5 from 2014 in a number of ways: it will still have a 5.1-inch, Super AMOLED display, a Full HD (1920 x 1080p) screen resolution, 2GB of RAM, and 16GB of memory storage, a 16MP back camera, and a 2,800mAh battery. Where the S5 Neo will differ from its 2014 “twin” is that the S5 Neo will have a “new” 64-bit octa-core Exynos 7580 processor (as opposed to the S5’s Snapdragon 801 processor), 5MP front-facing camera instead of the 2MP front camera on the Galaxy S5, and will have LTE-Advanced (or LTE-A) connectivity as opposed to the basic LTE connectivity of the GS5. There will be single-SIM and dual-SIM variants of the device, and both SIM variants will run Android 5.1 Lollipop out of the box. The device has been rumored to be available for pre-order in the Czech Republic with a price tag of $490. Samsung’s Galaxy S6 and S6 edge are the best beauties, no doubt, but we have a feeling that quite a few customers would be happy with Samsung’s return to its old roots in this “neo” smartphone.